Have you ever seen something that wasn’t really there? Heard someone call your name in an empty house? Sensed someone following you and turned around to find nothing? Hallucinations don’t belong wholly to the insane. Much more commonly, they are linked to sensory deprivation, intoxication, illness, or injury. People with migraines may see shimmering arcs of light or tiny, Lilliputian figures of animals and people. People with failing eyesight, paradoxically, may become immersed in a hallucinatory visual world. 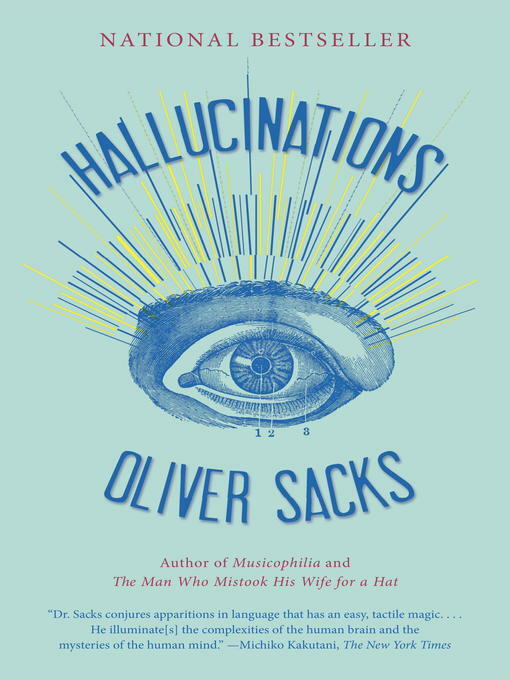 Hallucinations can be brought on by a simple fever or even the act of waking or falling asleep, when people have visions ranging from luminous blobs of color to beautifully detailed faces or terrifying ogres. Those who are bereaved may receive comforting “visits” from the departed. In some conditions, hallucinations can lead to religious epiphanies or even the feeling of leaving one’s own body. Here, with his usual elegance, curiosity, and compassion, Dr. Sacks weaves together stories of his patients and of his own mind-altering experiences to illuminate what hallucinations tell us about the organization and structure of our brains, how they have influenced every culture’s folklore and art, and why the potential for hallucination is present in us all, a vital part of the human condition. This entry was posted in eBook Friday and tagged autobiography, biography, health and fitness, nonfictions, science. Bookmark the permalink.